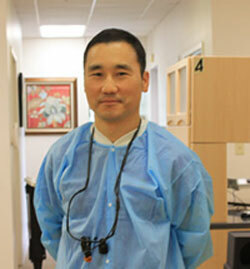 Dr. Kyu J Lee received his dental education from the Tufts University in the state of Massachusetts. After earning his DMD, Dr Lee entered into dental practice in Newport News before establishing his own practice in Mechaniscville, VA.
Dr Lee is dedicated to taking care of the dental health of families in the area with the high-quality care and comfortable fashion that patients expect. He believes that good oral hygiene is the key to a gorgeous/lovely smile.